12 spotted skimmer dragonfly sits peacefully upon a twig on a breezy prairie day. 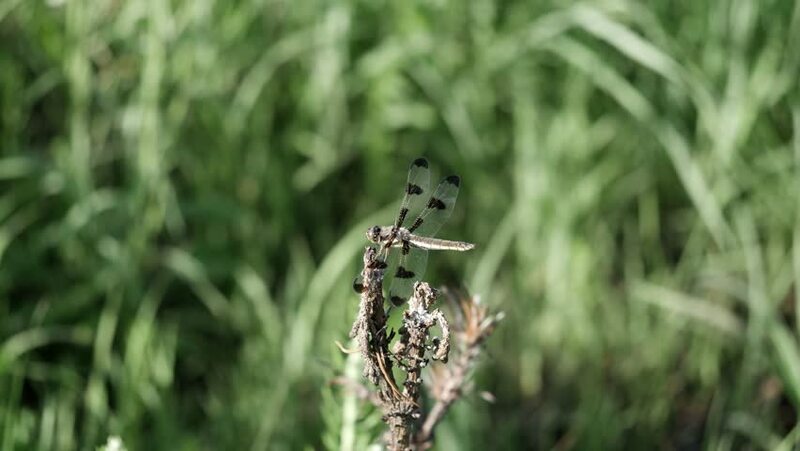 hd00:21Dragonfly takes off from a plant in slow motion. hd00:20Dragonfly lands on a twig in slow motion. hd00:18Bee collecting nectar pollen on Flower and flying away on Green Meadow blurred background Slow motion closeup Macro shot.